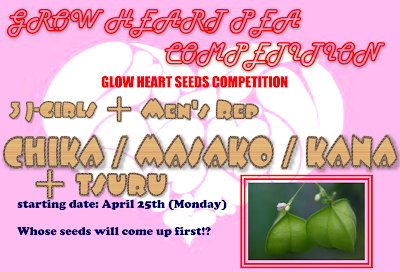 We have new entry in our GLOW HEART SEEDS COMPETITION! He is J-Hoppers Hiroshima Men's Rep Mr.TSURU. Competition seems like getting more interesting now! I will work harder!I won't go easy on you guys! !